How will the expected tax increases pan out? Will the Minister of Finance and his deputy keep their jobs? Will the budget incorporate “radical economic transformation” which has become the President’s mantra in the past few months? How will the ratings agencies view the budget and do we now face a ratings downgrade? Carbon tax has been on the cards for a while but looks unlikely to become effective until 2018. In addition, the Voluntary Disclosure Program runs to 31 August. So far almost R4 billion in offshore assets has been disclosed and this will bring R600 million to the fiscus. These increases should bring in more than R28 billion but Treasury is now nervous about the ability of SARS to continue to deliver increased revenue as it has done for years. 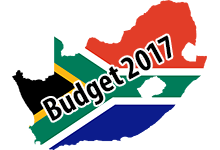 In 2016/17 revenue collections are estimated to fall R27 billion short of target. Some ascribe this to the ructions in SARS which has seen the bulk of senior management departing but it is not possible to indefinitely increase revenue targets, particularly when the news is filled with stories about corruption. At some stage reality kicks in and that is happening now. Transfer duty will now only apply to property sales of R900,001 or more (previously R750,001). This will give R400,000 back to taxpayers and will hopefully stimulate property sales to first-time and buy-to-let buyers. R20 billion will be cut from government expenditure. No specifics were given but expenditure targets have generally been met. R3.9 billion will be allocated to small business. The tax free savings allowance has been raised from R30,000 to R33,000. The Treasury and business cooperation has worked well so far and helped to avert a ratings downgrade. Business plans to offer one million apprenticeships to the youth over the next three years. In addition, R1.5 billion has been paid into a fund to assist small businesses. This cooperation with business (add to this labour with the agreement on the minimum wage) does add a new dynamic into the economy. Minister Gordhan often spoke of a new social cohesion to help economic growth and this is evidence that this is beginning to show positive results. Inflation will fall from 6.6% now to 5.7%. GDP will grow 1.3% this year versus 0.4% last year. The budget deficit will come in at 3.1% of GDP versus 3.2% this year. An additional R5 billion has been set aside for student fees. The sovereign debt of the country has risen over the past 8 years and now stands at 50.7% of GDP. If you add in the State entities (Eskom, SAA, Transnet etc) this rises to more than 60%. This translates to R169 billion interest being paid by the state – interest is the fastest growing expense in expenditure. Perhaps more significantly, economic growth has stagnated. As can be seen above it is becoming more difficult to increase taxes and thus the way out of a growing budget stalemate is economic growth. Structural reforms are needed to kick start the economy but there seems to be little political will to do this. Ratings agencies want to see financial discipline (which Minister Gordhan has again delivered), less political instability and a path to revive economic growth. Time will tell how the country can tackle the latter two problems. 62% of income tax will be paid by those with taxable incomes greater than R500,000. No one doubts the fairness of the wealthy paying more tax but the wealthy are being hammered – consider also dividend and capital gains taxes also rising. Tax revenues are starting to fall and there is every chance the wealthy will start looking at legitimate ways to reduce future tax liabilities. The Minister spoke of transformation more than fifty times. “Radical economic transformation” is the new policy the president has adopted. For this to reflect in the 2017/2018 numbers, it requires a complete shift in the way Treasury compiles the budget. As it came late in the year, Treasury did not have the time to respond to this paradigm shift. Thus, whilst the Minister spoke of “radical economic transformation” in reality the budget was a continuation of previous budgets. Nevertheless he did deliver one or two home truths such as ““We need to transform in order to grow; we need to grow in order to transform. Without transformation, growth will reinforce inequality; without growth, transformation will be distorted by patronage”. Minister Gordhan has again delivered a credible Budget. Clearly, also the time has come to take the necessary steps to grow the economy. In 2015 the Consumer Goods and Services (CGS) Code of Conduct took effect. It sets out minimum standards for the CGS industry to observe when dealing with consumers. Failure to comply with the Code contravenes the Consumer Protection Act. Thus, CGS businesses that were not already subject to regulation (such as the motor industry and financial services) fall under the ambit of the Code. In addition, the Code accredited the Consumer Goods and Services Ombud as the official Ombud to enforce the Code by dealing with consumer goods complaints by consumers, and to investigate alleged contraventions by CGS businesses. These affected organisations are also obliged to register with the Ombud and to pay participation fees depending on turnover (nil if your turnover is under R1 million but rising to R250,000 for businesses with turnover exceeding R3 billion). The Ombud steps in when disputes between consumers and suppliers of consumer goods and services cannot be settled by the parties. The Ombud provides mediation services to help resolve disputes using alternative dispute resolution (ADR) techniques. The service is free for consumers. In the 2015/2016 year the Ombud took on 3,495 cases of which 2,192 were resolved or closed out (i.e. outside of the Ombud’s jurisdiction or the case was withdrawn etc) and 1,303 were still ongoing. It takes an average of 57 days to resolve a dispute. A loan tracking service which is supposed to help people find loans but instead apparently signs up consumers for other products and services and charges them a fee. The Ombud is providing a valuable service to consumers and is becoming better funded. Tell your staff about this free service if they get “taken” by an unscrupulous business. Also check you are paying your subscription if you are a business that falls within the ambit of the Ombud. There are only run-of-the-mill deadlines for March. This is the season of finalising employee tax – Employee Tax IRP5 Certificates and your EMP501 Employer Reconciliation Declarations. This is quite a process – so start early.